THIS month Northampton-based contract hire and fleet management experts, Specialist Fleet Services Ltd (SFS) has delivered four new Dennis Eagle Olympus RCV’s to long standing customer, South Northamptonshire Council, as part of an interim fleet configuration while the authority reviews its recycling and collection service. The sole contract hire provider to South Northamptonshire Council (SNC), SFS has held the maintenance contract for the authority since 2001, servicing vehicles at its in-house workshop facility in Brackmills, Northampton. In 2002 SFS assisted SNDC in procuring the UK’s first low-level Scania cabs. 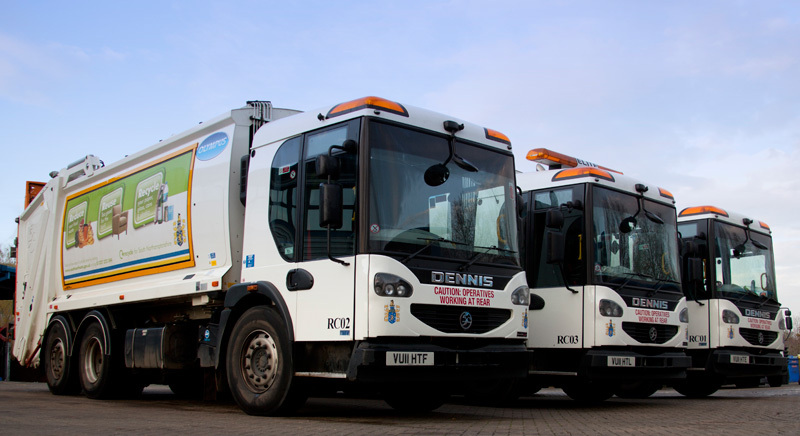 SFS has been busy in other parts of the country, winning the contract for London Borough of Hackney, comprising over 120 vehicles for waste, housing, libraries, courier and parking services. At Hinckley & Bosworth Borough Council where the decision has been taken to bring the housing maintenance service back in house, SFS has been awarded the contract to supply a 17 strong fleet to the authority’s Property Services department.